Late in the summer when bulb catalogs are in the mail, the flower gardener finds a shady arbor and loses herself in fantasies of fat pink tulips and hosts of golden daffodils. Meanwhile, the vegetable gardener makes a seat of a rusty wheelbarrow between the rows of ripening corn. 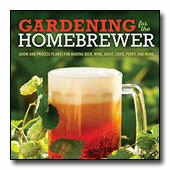 There she opens a seed catalog and dreams of garlic. Dazzled by the glamour and flash of the spring-flowering bulbs, we sometimes forget that garlic is a bulb too, and, as with its ruffled and rosy-cheeked cousins, it is best ordered early and planted in October. In the maritime Northwest, garlic is as easy to grow and as rewarding as any of the flowering bulbs, including the lily, a garlic relative. The only real challenge to raising garlic is a lack of sun or surfeit of winter water. Soggy soil will rot the overwintering cloves faster than a squirrel can dig up a bed of crocus corms—which, incidentally, you won't have to worry about with rodent-repelling garlic. In fact, garlic is one of the most pest and disease-free crops for the Pacific Northwest. Whether choosing bulbs elegant or edible, reading the catalog is half the fun. What qualities do you demand from your garlic? High yields? Easy peeling? Good for baking? A veritable garlic inferno? Though garden garlic may seem pricy at the outset, remember that the varieties you choose can be re-planted each year from the previous year's harvest. Even most grocery store garlic—including gourmet varieties from specialty stores—will take to the garden. Culinary garlic, Allium sativum, is divided into two subspecies, softneck and hardneck. Softneck garlic, a champion storer, is the variety most often found in grocery stores. Its supple stalk can be braided for easy storage and holiday gift-giving. 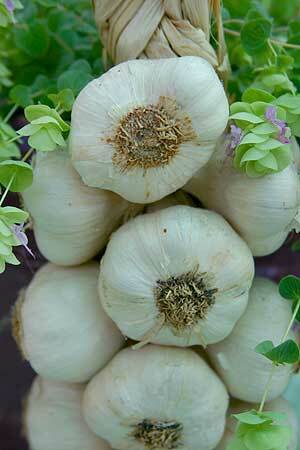 Hardneck garlic offers a wide range and quality of flavors, from sweet and creamy to outright eye-watering. The three main groups of hardneck garlic are rocambole, porcelain and purple stripe. Rocamboles are the most common of the hardnecks and the most reliable in unsettled weather. "Rocambole" is sometimes used as a catchall term for hardneck. Porcelain garlics have the fewest, largest cloves per bulb. Purple stripe varieties are quite variable in flavor and are often considered the best for baking. Elephant garlic, Allium ampeloprasum, is a meek-flavored—though generously proportioned—garlic wannabe more closely related to leeks. Described as "garlic for people who don't like garlic," it should not be used as a substitute for garlic in recipes. Ron L. Engeland has made his living as an organic garlic grower in Washington State for nearly two decades. He has cultivated more than 450 strains from all over the world. If you want to grow incredible garlic for yourself, he's the man to listen to. 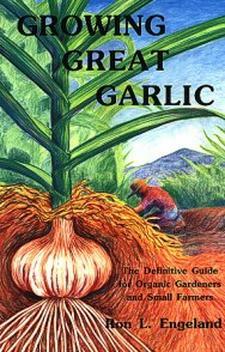 The first garlic book written specifically for organic gardeners and small-scale farmers. Growing Great Garlic is the definitive grower's guide written by a small scale farmer who makes his living growing over 200 strains of garlic. To buy book from Amazon, click on book cover. Garlic cultivation is refreshingly straightforward. First, the bulbs are broken into individual cloves; it seems to make no difference if the paper-like wrappers are left in place or removed. Use only the largest cloves to reap the biggest bulbs. Work in a handful of complete organic fertilizer or alfalfa meal directly beneath each planting spot. Plant pointy side up, two inches deep and three to four inches apart in rows spaced 18 inches or closer in raised beds with well-maintained soil. In our climate, garlic tops usually break ground by the end of fall. Remarkably hardy west of the Cascades, the plants require no special attention in winter. Even during an arctic express, a layer of row cover should be enough to save them. (Cold weather areas of the country plant garlic in spring.) In February, sidedress with more organic fertilizer, or feed every two to three weeks with fish fertilizer once growth begins. Keep the bed weed-free and don't let the soil dry completely throughout spring, unless you're willing to sacrifice a bit of bulb size for a hotter product. The goal is to size up the bulbs as much as possible before the summer solstice, when they stop growing and begin to harden off. This is the time to ease back on watering. When the lower third to one half of the leaves are dying back—by the end of July for most varieties—the bulbs are ready to pop out with a shovel or garden fork. Don't wait too long to harvest garlic or the skins will split, letting in dirt and making the cloves unattractive and difficult to use, as well as reducing their storage life. Some garlic varieties send up a scape, or flower stalk. It's often recommended that scapes be removed as soon as possible to redirect the plant's energies to building a bigger bulb. However, some growers feel that scapes prolong storage. Once the bulbs are free of the ground, gently knock off as much loose soil as possible. Put the bulbs—stalks, dirt and all—on a tray, or hang the plants to dry in a protected spot out of direct sun. After a week or two when the soil has dried, rub off the dirt and outer skin. Do not wash. Trim off the roots. For hardnecks, clip the stalk even with the tips of the cloves. Softneck garlic can be braided and hung. Don't forget to save the biggest specimens to re-plant in October. All types need good air circulation and continued cool, dry storage. A basket with an open weave or mesh bag are good for holding garlic. Don't use sealed containers which encourage decay. Fresh garlic should never be stored in the refrigerator. Softnecks may last for up to a year; hardnecks hold for only half that time. Softening or sprouting is a sign that the cloves have lost quality and should be discarded. Keep in mind that there's more to bulbs than pretty flowers, and next year you'll have hyacinths to nourish your soul and garlic to spice up your life.